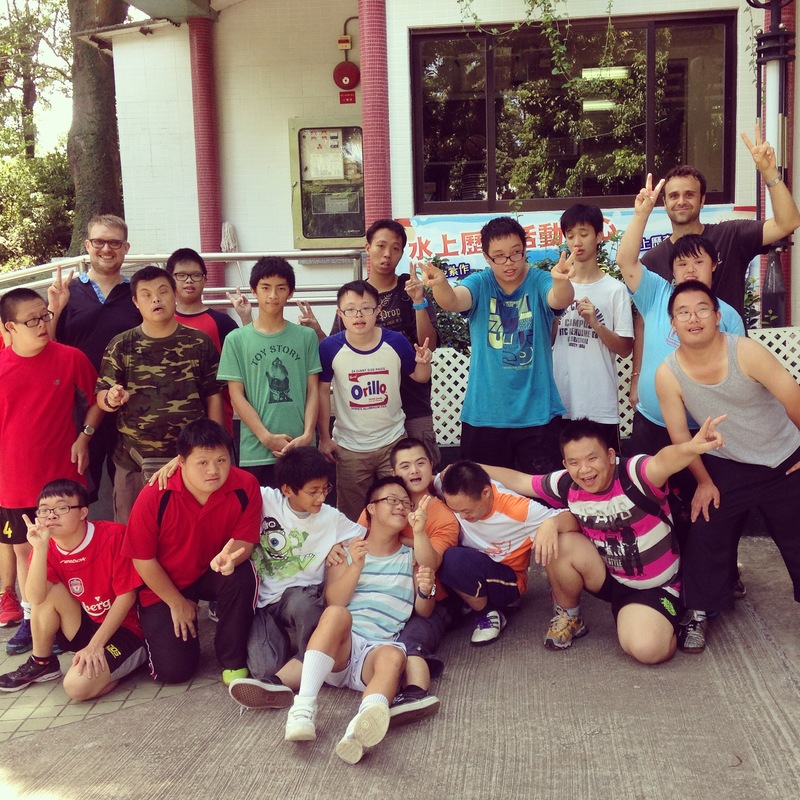 This past weekend marked the start of another year of football for the Hong Kong Dragons Football Team, with our annual camping trip. It wasn’t tent camping, as we all stayed in dorm rooms with about 8 bunk beds in each room. However, it was still a ton of fun, and the air conditioning was definitely welcomed as it was a scorcher outside! I’ve been coaching these kids for 7 years now. I can’t believe that it’s been that long already! It was great seeing them again, as it always is. Tons of hugs and high fives! Even though we don’t speak the same language, I have a great connection with these children, and the language barrier doesn’t deter them from talking my ear off! Throughout the time on the bus and at the camp I was told countless stories in Cantonese, not understanding a single word. I’d smile and put my arm around them while nodding my head. They’d continue with their stories and laugh, hopefully not at my expense. 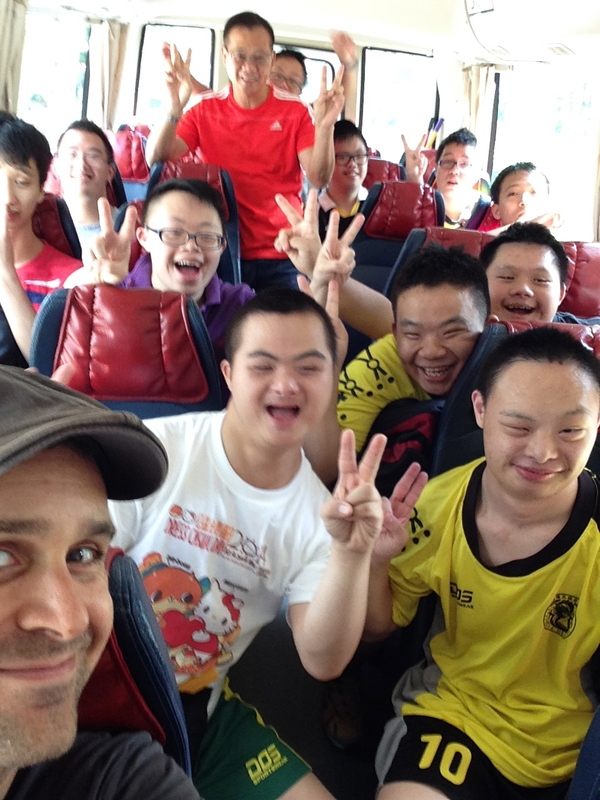 The energy from the moment we arrived at the Down Syndrome Centre in Wong Tai Sin on Saturday until we returned on Sunday afternoon, was so uplifting and contagious. Leading into the weekend, it hadn’t been one of my finer weeks. I’d been stressed about work, and life in general, but it took little time to get my head clear and focussed on the camp and how lucky I am to have this opportunity. We checked into our rooms after our campsite briefing and quickly got changed for our first football training session. The kids were absolutely on fire! Don’t worry- not literally! It was a really hot day, but they had so much energy! It was clear that they had missed playing football with their friends. We had four new members, 2 of which were autistic. They were all extremely sweet and happy. Everyone was just happy. I’m probably going to repeat the word, “happy” quite often in the blog because that’s exactly what this weekend was. That’s all that mattered and that’s all that happened. Over the weekend, I saw so many beautiful acts of kindness and love. 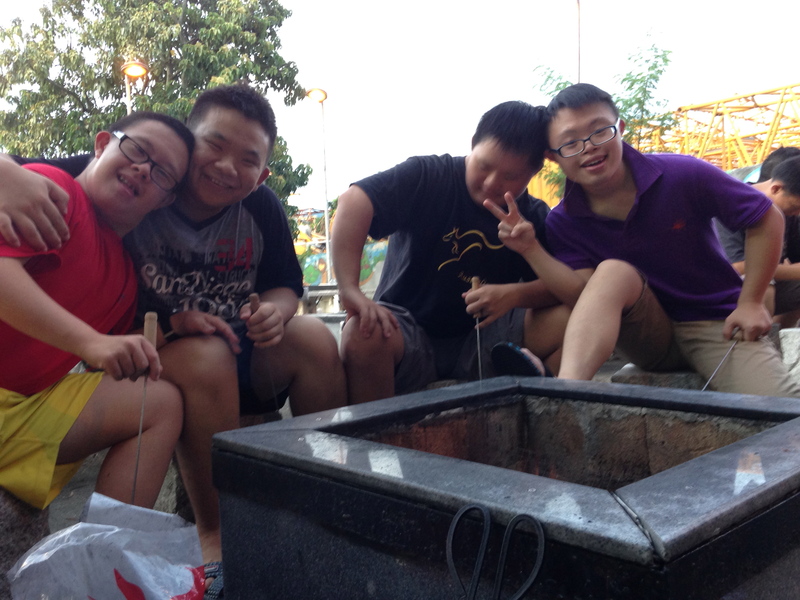 I saw friends holding hands while walking, teammates giving high fives on the football pitch and others helping each other out with their BBQ skewers. Despite our language barrier, I’m happy and extremely proud to say that all the people in this picture above are my friends and I’ll always remember that. As always, thanks for taking the time to read my ramblings! I’d love to hear you’re thoughts in the comments below and sharing with your friends would be greatly appreciated! I think it such an amazing thing you do, but also equally amazing for you. Many people do great things, but not all take as much out of what they do for others. It really comes across to the reader how much you truly receive back from these kids, that makes it even more special. All the best with the new season, hope the team has much fun and joy. I’m happy to hear that you can feel how much I’m getting from this through my writing because that’s exactly what is happening. I absolutely love getting out there and sharing my love for football with them. The last thing i would call it is, “work”. This entry was posted on September 17, 2014 by theguestroom in myHK and tagged Asia, Best, Blog, charity, China, crazy, donate, donation, giving, help, HK, Holiday, homeless, Hong Kong, impactHK, Mr.J, myHK, new.